Western Oklahoma State College, established as Altus Junior College in 1926, is the oldest original municipal two-year college still in existence in Oklahoma. Its operation since 1967 has been under the provision of State Bill No. 2 of the 1967 Oklahoma Legislature and the Community Junior College Act. The college assumed status as a state junior college on July 28, 1970, pursuant to House Concurrent Resolution No. 1003 and Senate Bill No. 104 of the 1969 Oklahoma Legislature and Oklahoma State Regents for Higher Education (OSRHE) Resolutions No. 624 and No. 657. These resolutions authorized and directed the State Regents "To establish a two-year college in Altus to serve Jackson, Tillman, Kiowa, Greer, and Harmon counties and surrounding areas, and it shall be known as Altus Junior College and shall be an integral part of the Oklahoma State System of Higher Education." 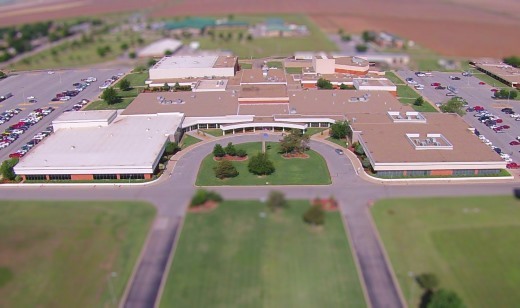 The conversion of Altus Junior College from a community to a state junior college included a redefinition of functions, education programs and standards, fiscal policies, and enrollment projections. Guidelines for the development of a new campus, to be located on a 142-acre site donated by area citizens, were completed. 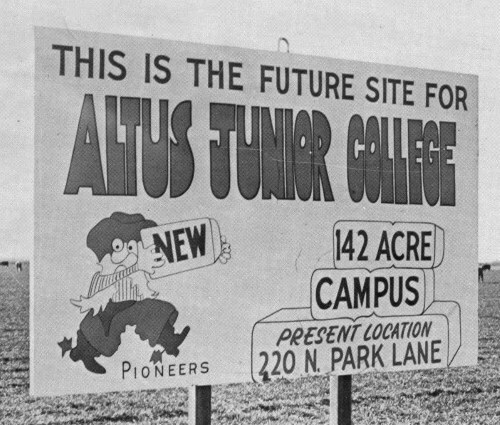 The governor of Oklahoma appointed a board of regents for Altus Junior College on April 27, 1971. This board assumed the responsibility for institutional governance as provided by law. On August 16, 1974, the college became Western Oklahoma State College by an act of the state legislature, signed by the Governor on April 3, 1974. Section 1 of Senate Bill No. 492, passed by both the Senate and the House of Representatives, designated that the "state educational institution located at Altus shall continue at the same location and its official name shall be WESTERN OKLAHOMA STATE COLLEGE." The college has completed over 90 years of serving the greater Southwestern Oklahoma community and continues its pledge to provide a comprehensive two-year post-secondary educational program for its residents. to participate in programs of economic development with comprehensive or regional universities toward the end that the needs of each institution's geographic service area are met. Western Oklahoma State College aspires to be the outstanding and innovative community college known for its focus on student success and its service to community and regional development. Western Oklahoma State College exists for students. The college, with its board, administration, faculty, and staff, is committed to student success, strengthening the community, technology development, and internal and external cooperation. It affirms equal access to all aspects of the institution for the diverse population it serves and approaches all endeavors with the highest standards of ethics and professionalism - a commitment to excellence. At the heart of every program of college study is the general education core curriculum, the fundamental element that gives some commonality to the educational experience. Western remains deeply committed to requiring an extensive core curriculum, a comprehensive and diversified approach to education, which lays the foundation for students to grow personally, professionally and socially and to seek opportunities to be lifelong learners. Download Western's Three Year Academic Plan. Higher Education Act (HEA) of institutional disclosure requirements. Download Western's strategic planning report. Download Western's History of Strategic Planning. Assessment Report of Student Academic Achievement at Western. Download the Fall 2018 Assurance Argument (227mb).